-The Lake Garda is the largest lake in Italy and each year attracts thousands tourists from around the world. The enchanting scenery circling Lake Garda and the beautiful villages and many amusement parks for this success. Add to that an excellent hotel infrastructure, restaurants for gourmets and many spa. -The Lake Como in Lombardy, is popular with visitors for its fresh air, sun and landscapes. Also charming villages clinging to the mountainside around the lake. Como, at the southern end of the lake is a good base for exploring the area. 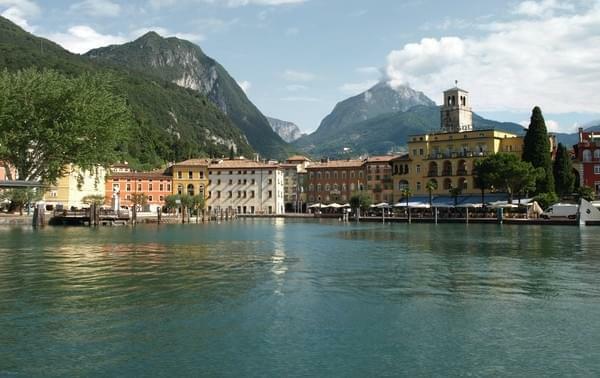 We should also mention Tremezzo, a beautiful little town located just opposite the Bellagio. The main attraction is the Villa Carlotta with its beautiful botanical garden and beachfront And also in bulk. Griante, Menaggio, Nesso, Bellagio, Varenna, Bellano, Colico, Lecco. Bellagio is probably the most tourist spot of Lake Como, with its many bars, restaurants and cafes. -The Lake Maggiore is the longest of the Italian Lakes with its 65 km long. Borromean Bay between Stresa and Verbania, is blessed with three islands known as the Borromean Islands. These islands are not to be missed during a visit to Lake Maggiore. Isola Bella is known for its baroque palace. Isola Pescatori for its small picturesque fishing harbor, Isola Madre and its gardens. Ferry provide connections between the islands, every day during the summer. You can visit the 3 islands easily in one day from Stresa; the crossing takes about 5 min. -The Lake Lugano is a glacial lake located on the border between Switzerland and Italy. The lake, named after the city of Lugano, is located between Lake Como and Lake Maggiore. The lake is 48.7 km2, of which 63% is in Switzerland and 37% in Italy. One of the most famous sights of Lake Lugano is the Monte San Giorgio (1097 m), south of the lake. Monte San Giorgio is a wooded mountain became a UNESCO World Heritage Site in 2003. Another notable place is the village of Morcote, with its picturesque streets, beautiful arcades and villas. Morcote is also distinguished by its location, literally plated between the mountains and the lake.